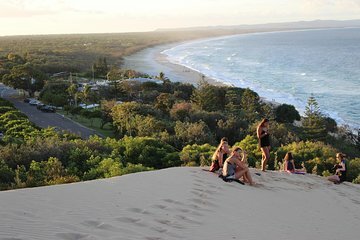 Enjoy the ultimate Aussie adventure with this Byron Bay to Cairns hop-on hop-off travel pass! Combining all the benefits of a guided tour, with the flexibility of independent travel, your pass includes transport, tours and activities, and is valid for up to 12 months. Visit destinations like Noosa, Airlie Beach and Rainbow Beach as you journey north, and stop along the way to camp out at an outback cattle station, experience Aboriginal culture and cruise to Magnetic Island. Even better: you can organise your whole trip online.